Welcome to Unit 1B at Clearwater! This is a low density complex with only 4 units per floor and 8 stories. Unit 1B is just one floor up since there is parking underneath the first floor. It is a short flight of stairs or elevator ride to the condo. It is conveniently located close to restaurants, shops, fun kid activities and of course Wal-Mart. This large one bedroom will sleep 6 comfortably with a brand new king size mattress in the master bedroom, a bunk area and sleeper sofa. The pool is just below the balcony of 1B and the beach is a very short boardwalk away. 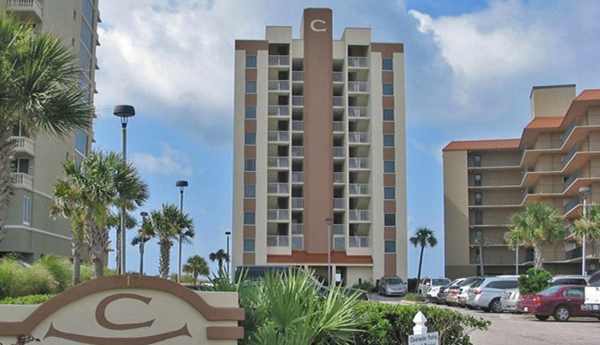 We know you’ll enjoy your stay in Unit 1B at the Clearwater.